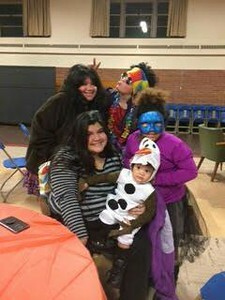 NEW BRITAIN - Ada Velazquez, who had lived in Florida her whole life, was brought to Family Promise two months ago after her fiancé promised her and her four children a better life in Connecticut, but left them in a hotel and ran away. Velazquez is going through a high-risk pregnancy. She is due to have her fifth child in January. She said she connected with Family Promise after begging 2-1-1 for help, since she couldn’t afford living in a hotel and has no connections in Connecticut. Velazquez’ children are now in school and she has established health care for them and herself. Family Promise helped her connect with a job and day care for her to use after giving birth. For Velazquez it has been quite a transition. She said she always worked and never had to use assistance. In the mean time her family is living on food stamps and other types of assistance. “There’s a lot of support here, so I know I’ll be alright,” Velazquez said. It’s because of families like Velazquez’ that MicroCare Corporation recently partnered with Family Promise of Central Connecticut to annually donate $6,000 to support the organization’s transportation program through which the families helped are driven to the shelters at night and to the day center in the morning. The funds will be used to support the gas and maintenance of the 15-passenger vehicle owned by Family Promise. Twelve churches provide shelter and dinner to the homeless families helped by Family Promise. 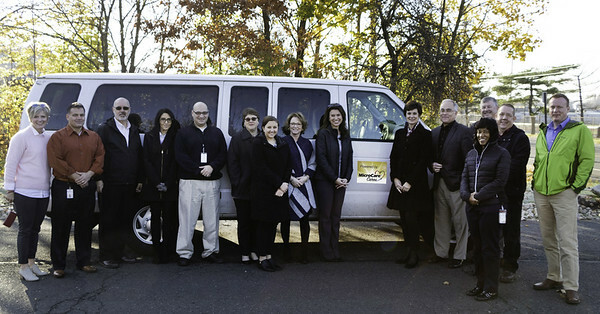 Heather Labbe, director of Family Promise of Central Connecticut said that the partnership is important because the organization is completely supported by donations. “Making sure that the van is running and can get families to the churches so they can be warm and have their dinner is just our primary concern,” Labbe said. Labbe said she is grateful for MicroCare’s commitment and said she was not expecting such a generous contribution. “I cried, I sat at my desk just sort of in shock and shed tears of relief that it was one less ongoing expense that we take off of the list of things to be worried about,” Labbe said. Family Promise is providing shelter to four single women with seven children among them. The two partners recently got together in a ceremony and MicroCare provided Family Promise with a small magnet with the company logo to put on the van. To learn more about Family Promise, visit familypromisecct.org. To receive assistance or make donations, contact Labbe at 860-259-5649 or hlabbe@fpcct.org. Posted in New Britain Herald, New Britain on Wednesday, 28 November 2018 21:21. Updated: Wednesday, 28 November 2018 21:23.